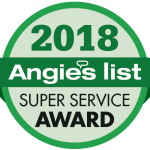 Western PA Roof Cleaning, LLC, has earned the service industry’s coveted Angie’s List Super Service Award®, reflecting an exemplary year of service provided to members of the local services marketplace and consumer review site. Western PA Roof Cleaning, LLC, named an Elite Service Professional by the national industry watchdog Home Advisor Pro. Western PA Roof Cleaning, LLC, screened and approved by Home Advisor Pro and has five years of history with the company. Furthermore, homeowners who used Western PA Roof Cleaning, LLC’s services have gave them a Perfect 5.0 Overall Rating. Home Advisor Pro congratulates Western PA Roof Cleaning, LLC, on this outstanding accomplishment! The positive experience of others indicates a job well done. 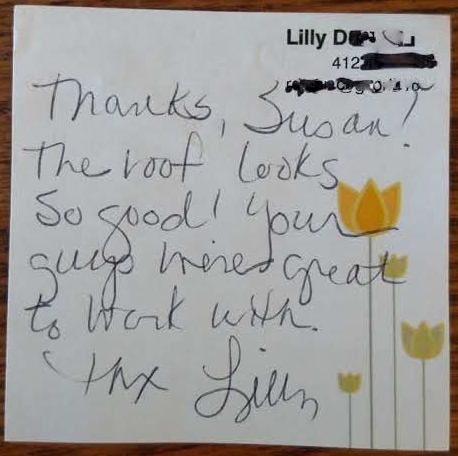 Read what some of these happy customers have to say – then contact Western PA Roof Cleaning for your own FREE estimate. Have we done successful work for you? Leave us a testimonial! Ugly black streaks and moss were taking over my roof. Then Western PA Roof Cleaning treated my shingles…what an amazing difference! My roof is now clean. I definitely recommend them! Western PA Roof Cleaning did a great job. They are very professional and meticulous. We have used them twice and will definitely use them in the future. Cleaned my roof of the black streaks that were running down my shingles. It went very well I thought. They explained to me exactly what was going to be done. I was at work at the time the cleaning was performed. They told me what to expect over the next couple of weeks. The roof looks great. They cleaned all the moss and stains off of my roof…..which was pretty bad before they did their work! Everything was done as proposed. They were on time and when they left the area around my house was as clean if not cleaner than when they arrived. No surprises and they are very professional and friendly. My moss on the roof is GONE!!!! Definitely recommend to anyone needing this service!! We constantly laud your company to everyone that owns a home! We’re always comparing roofs, and are soooo grateful that you treated ours and removed all of that unsightly growth! It still looks brand new and we actually gloat about this fact when we see roofs in need of your treatment. We really appreciated your kind, respectful, courteous, honest, equitable and timely treatment of us and our home! The crew came out when they said they would and finished the work when they said they would. I could not have been happier with the results and my roof looks like new! Over 2 years ago I noticed my shingles were changing color. It was more pronounced on the north side of my house than the south. To me it appeared to be some kind of mold. I was searching for answers when I came across Western Pa Roof Cleaning. I spoke with Rob and he gave me an explanation that made sense to me. I had concerns about the chemicals that they would use and the effect they might have on the plant life I had surrounding my house. I was given a quote and a time frame that the work would be completed. I returned home from work on the day they said they would complete the work and like magic, my roof looked like brand new. I could not have been more pleased with the quality of service from Western Pa Roof Cleaning. I actually have promoted them in the Treesdale area. Western PA Roof Cleaning did a wonderful job with their service on our roof. We had no idea how to get all of the streaking and stains off of our roof, and it was the worst on the front side of our house. They provided details about their process, how it would eliminate our problems and that it wouldn’t be temporary. It was well worth the investment and our roof looks like it did 16 years ago when we first moved in—-highly recommend their company! It has been almost a year and a half since the ugly roof stains on our roof were cleaned and there is no evidence of any return. The work was very professionally done from the initial estimate to the cleanup after the job was finished. In addition to the roof we also had our gutters and siding cleaned. If the need arises again we will definitely be calling on Western PA Roof Cleaning again. We were embarrassed by the look of our home when a neighbor recommended Western Pa Roof Cleaning. I sent them an email and they responded in a prompt manner asking a convenient time to discuss over the phone. Absolutely no pressure and we were treated in a professional manner, when we were quoted a price I was very surprised by the very reasonable cost, especially knowing the work that needed to be done. They answered every question I had and even reassured me that this process would not put a stress on my well. The job was scheduled in a very timely manner, and they are true Professionals. My Roof now looks like the day it was put on, I really cannot say enough about the job that they did. I now have NO reason to be embarrassed by the appearance of my Roof!! PS. While they were on the roof they took the time to look for any apparent deficiencies…. at no cost to us! I wanted to write a short note about the wonderful service you provided to our home over a year ago. We were plagued with algae and the roof was rather unsightly. You all came in and cleaned the roof in record time and to this day the roof remains spotless. We have noticed a difference in the yard and pool as well and believe our pool algae problems were partially caused by the element on the roof. We recommended this service to our neighbors and friends and will continue to do so. I do have to admit it is rather nice seeing our clean roof when our neighbor’s roofs could stand the same cleaning. Keep up the good work…hope to never need this service again but if we do we will definitely call you all! We are very happy with the service we received from Western PA Roofing Cleaning. The roof looks great! Everything about Western PA Roof Cleaning was professional. They keep to their quote, did the work in a clean and efficient manner and were done in one day. They also identified a few minor roof issues which I had taken care of immediately. With the high cost of roof replacement, it would be foolish not to have your roof cleaned by the best for both appearance and longevity. Western PA Roof Cleaning made our roof look like new! When we moved into our house, I noticed the dark stains on the roof and was afraid that we might have to replace it soon. I was told that the roof was in good shape but no one suggested any solutions for the unsightly discoloration. Two years later, we thought we were going to move for my husband’s job and our Realtor told us that Western PA Roof Cleaning could remedy the situation. I called Rob. He was so courteous, professional, and positive that he could help us. They scheduled us quickly because of our need to put the house on the market. The roof now looks great. It’s amazing how much better the entire house looks without the ugly black stains on the roof. The bonus is that my husband’s employer decided to keep us in this area, so we get to enjoy the improvements to our house. I wish we had called Rob and Joe sooner! I highly recommend their services! We had our roof cleaned by Western PA Roof Cleaning this past spring and we are happy to say that our roof still looks like the day it was cleaned and actually now looks like a new roof. We were very happy with the prompt service and the effective cleaning process. I have seen other roofs that were cleaned only to have the staining return in a few months. This happened to our roof when we used a different cleaning company. Western PA Roof Cleaning is first rate, they do excellent work and take pride in what they do. We had streak marks on most of our roof. We met Western PA Roof Cleaning at the Pittsburgh Home Show in 2011. We heard their story, saw the “before and after” pictures from previous clients and decided to go with it. They did a great job… our roof was streak-free, no more mildew, nothing more unsightly. It’s been over two years and the roof looks great. We highly recommend their process. I don’t think you’ll be disappointed. We were extremely satisfied with Western PA Roof Cleaning, from getting an estimate to finishing the job. Our roof looks terrific, and we found them knowledgeable and conscientious. We highly recommend them! I was very pleased with the results achieved by Western PA Roof Cleaning! I would not hesitate to refer their service to others. We are so pleased with the same day results! The appearance of our entire house improved once the algae stains were treated. This was money well spent on home improvement! Thank you! I highly recommend Western Pa Roof Cleaning !! Great service during and after the job !! Do not hesitate to call !! They came in a timely fashion and got the work done in short order. It’s been about six months since it has been done and it still looks fine. Good job! They sprayed and cleaned the roof. They also inspected the shingles for wear. They checked the grounds for debris. Very friendly and accommodating. The cleaning went wonderfully! They are so professional, neat and conscientious. The roof and concrete look brand new again. They have all of their insurances and offer a two year warranty. I would recommend them to anyone. I highly recommend Western Pa Roof Cleaning. Our roof was covered with moss and looked terrible. We were concerned that this would also ruin our roof shingles. The crew came in and did an excellent job cleaning our roof. We now have a roof clear of moss and all those ugly black streaks. Thanks for a job well done. Thank you so much for the wonderful work you both did on our roof. It exceeded our expectations and we couldn’t be happier! 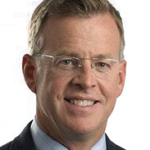 We look forward to working with you again in the future! They did a great job! They offer a maintenance plan as well to keep the roof looking its best and lasting longer. I thought that their price was good for the amount of work completed. They were very, very good! I would hire them again and recommend them to anyone. They cleaned our shingles on our roof to get rid of the black streaks caused by algae and mold. The reason to clean the roof is because it will give your roof longer life and look better in the process. Their work was fabulous. They were a really good, professional company to work with. There were two guys and it was a great experience. They are competitive in price. I am very pleased with it and would recommend them to others. The black marks were removed and never came back. No smell or damage to shrubs. I would recommend this Co. to anyone. We were very pleased with your work and now I have a habit of looking at all the “dirty” roofs in the neighborhoods. I am quite impressed with the service I received from the team from Western Pa Roof Cleaning. They were prompt to respond to my request for information and were already prepared with an analysis of my home and what would be involved in cleaning our roof and siding. The price for the work was very satisfactory. We scheduled a date for the cleaning and they were there to perform the work as promised. They did a very thorough job of cleaning everything and took care to ensure they did not leave any mess behind. The improvement was even better than I thought may be possible. Afterwards, several neighbors commented on the noticeable improvement in the appearance of our home. I have recommended Western Pa Roof Cleaning’s service to other friends and neighbors knowing that they will be pleased with the results. Rob and Joe were awesome! We had been told recently that our roof had “substandard” shingles when we hired a company to repair a few shingles that had been blown out of position by weather. The contractor told us that the roof was not of quality materials and that they would need replaced soon. Rob told me today that the roof was in great shape and should not need replaced for another 8-10 years. They left my yard, etc. exactly as they found it, were extremely professional and we are more than pleased at the finished product. OUR ROOF LOOKS GREAT! Thanks again guys….we will recommend you to everyone that will listen. This is to let you know how pleased Cathy and I were with the services provided by Western PA Roof Cleaning. Our roof looks brand new, and the work was completed on time and to the quoted price. You and your team were very professional, and a pleasure to work with. In addition to the roof cleaning, we asked you to do some concrete cleaning, which also came out beautifully – sidewalks that were covered with algae and tree sap now look new. We’d be happy to recommend your services to anyone! We made good a choice in using the services of Western PA Roof Cleaning. Rob and Joe are very knowledgeable about the roof cleaning process and were direct and fair in their pricing of the job. They were able to get rid of every bit of algae that was staining our roof and it looks great. We consider Western PA Roof Cleaning a first class business. WOW! What a difference! My roof looked brand new again. The folks @ Western PA Roof Cleaning (1) were easy to deal with, (2) were prompt on the day of service and (3) left with absolutely no mess. I would certainly recommend them to a friend. Oh my goodness! We cannot believe the difference in our concrete and couldn’t be happier. Thank you so much! Excellent job. On time and truly professional.